Hey there! Aren’t you glad it’s Wednesday already?! Me too. If you read my post or watched my vlog from yesterday than you know my doctor didn’t clear me to run yet. Instead he did a non-surgical debridment to remove some fibrous material and sent me on my way. 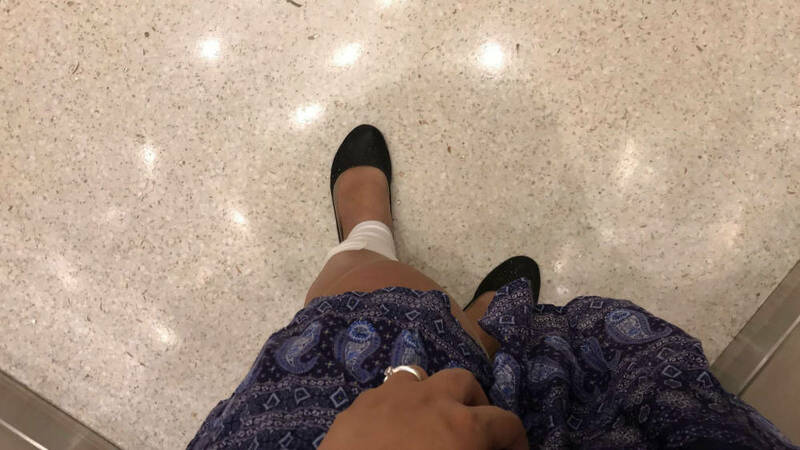 The in-office procedure stung a little bit but didn’t really hurt too badly during; however, as the day progressed yesterday it started to hurt more and more. I actually took a pain pill to help me fall asleep last night! Woke up this morning and felt a lot better :). 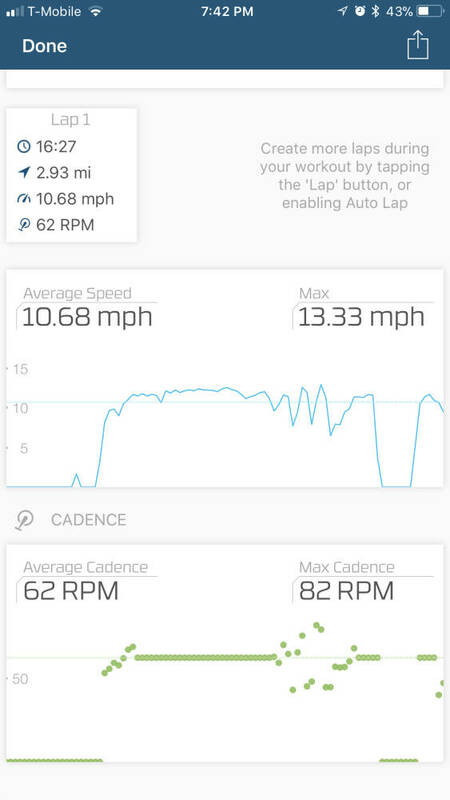 When I got home from the doctor Monday my Wahoo Speed and Cadence sensors arrived for my spin bike, so I wanted to attach those and go for a ride yesterday. The cadence sensor goes on one of the pedals of course. The speed sensor goes on the wheel. Here’s a little hint if you decide to buy these sensors: don’t put the speed sensor on the outside of the wheel because it will stop the wheel from being able to make a full turn. I had to move my sensor onto the red part so I could actually use my bike ;). Everything started out fine and I was having fun being able to track my stats while following along with the spin videos…. Unfortunately about 10 minutes into the ride my incision started tingling in a not-so-great way, and by 15 minutes in I pretty much knew I was going to have to cut the 30 minute ride short. With my leg finally being thisclose to fully healed there is NOTHING I am going to do to mess things up. I am looking forward to my next spin ride though. I love being able to see all my stats in the Wahoo app (distance, speed, cadence, heart rate from my Garmin, etc.). I never really thought of spinning or biking being a data-driven sport but OF COURSE IT IS! I love that! As you can see I only made it through the warmup and a couple small intervals. It’s fun to see the “hills” that the instructor says we’re climbing in the data the app provides haha! So now we wait, and while we wait we lift :). BTW if you want to watch me squat 160lbs on video check out my latest vlog – it happens at around the 4:55 mark! Do you prefer biking outside or spinning indoors? What’s your current fave dinner recipe? I’m in a rut. Previous Post NEW Squat Max Filmed on Camera! Next Post Let’s Talk About Concerts! I totally forget whether I commented on your blog yesterday but I did watch your vlog while cutting lamination yesterday morning! My “undercarriage” hurts on a bike too! Okay good you are TLC’ing your wound. You’re too close now to mess it up! Nice info on the stats. 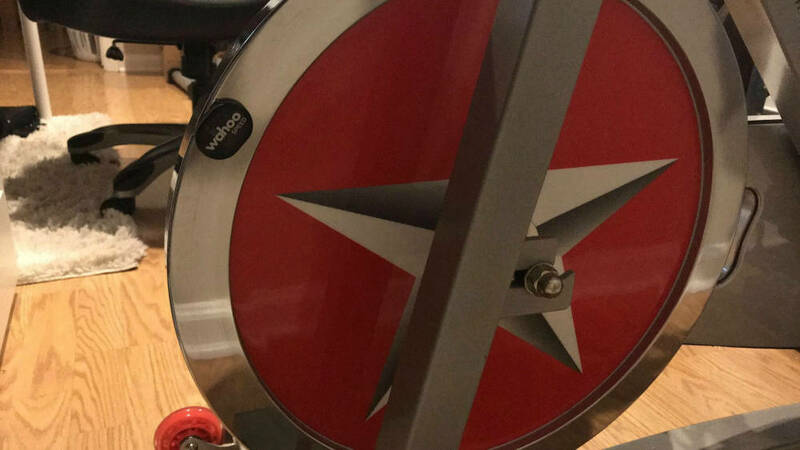 I see what you mean – a spin bike like that on it’s own wouldn’t really give you any feedback on how far you’ve gone or anything like that. Good idea! 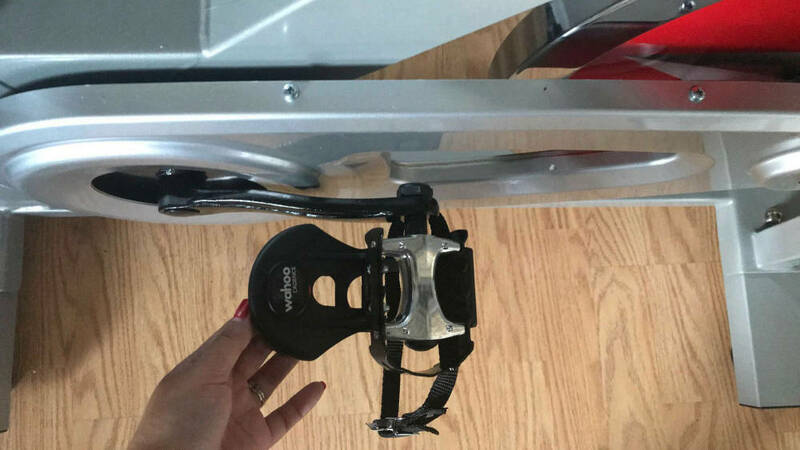 Alan did buy something to work in conjunction with his Garmin when he’s on the bike trainer… a foot pod maybe? I’ll have to investigate! I’m hoping that my knee won’t be bothered too much if we get a spin bike. 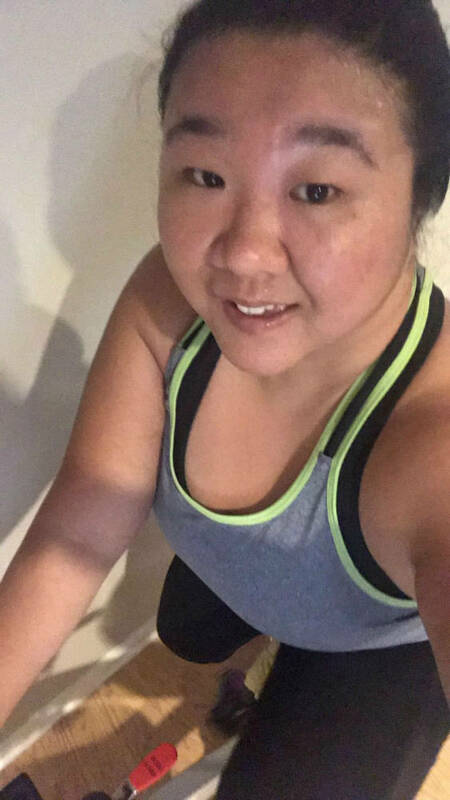 My “lazy” bike riding and magazine reading at the gym doesn’t bother it, but when I’m actually out biking on the streets I eventually have a bit of a pain in my knee. Nothing bad really, just annoying. Keep taking care of yourself! Hopefully you’re on the home stretch now.